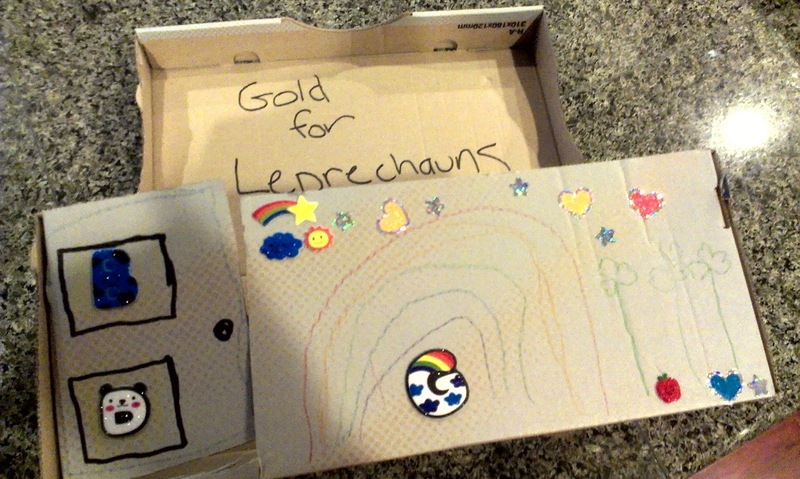 He asked me to write 'Gold for Leprechauns' just in case they didn't know.. But they left their 'flashlights' behind (clover shaped glow sticks). 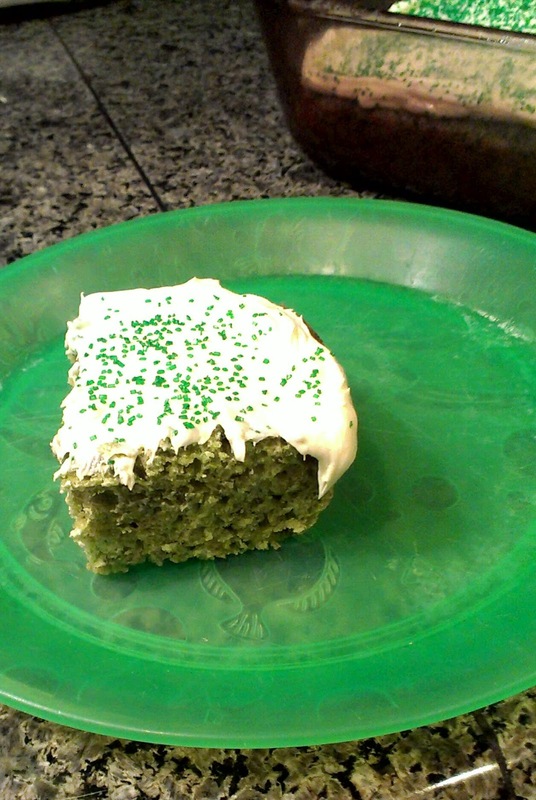 Also, the green cake turned out rather good! Spinach works well as food coloring and hidden nutrition. WIN. If I make this again, I think I'll use vegetable oil instead of olive oil - I didn't think it jived 100% with the sweetness of the cake. Also, drizzle a scant amount of oil over your spinach to get it to puree more easily. Also, don't forget to enter my giveaway for an Endorphin Warrior training bracelet! 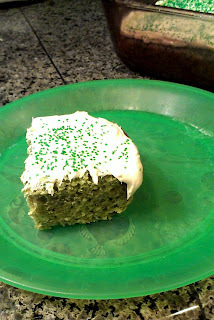 Love that you added spinach to make a green cake. I'll have to try it! I love how you plan out all your meals for the week. I need to start doing this at home!